The Red Devil - Kampai! : Kampai! 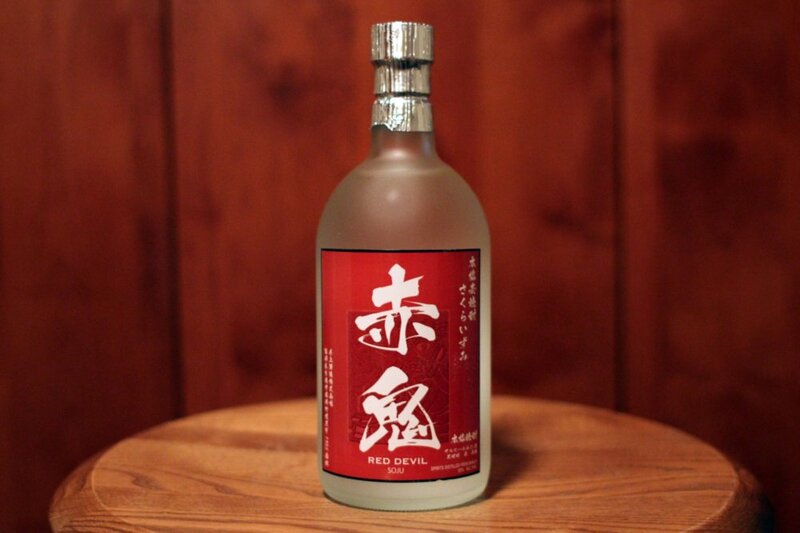 Distillery: Inoue Syuzo Co., Ltd.
Akaoni with its striking red label on a clear frosted bottle with a silver foil topper certainly catches the eye. It is one of several mugi shochus from this distiller and from what I can gather is targeted toward a more mellow drinking experience. The “Red Devil” name draws on the popular shochu iconography of the underworld (see Enma as another example). Akaoni has a pronounced floral nose. The taste is mellow, smooth, and decidedly sweet. Never overpowering. The sweetness dissipates into a mild, unremarkable finish perhaps owing to the low alcohol content. 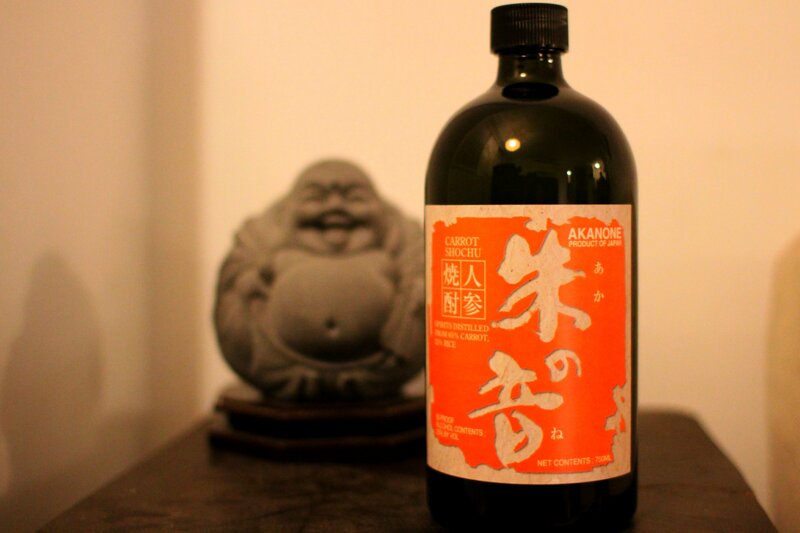 Akaoni is a very fine example of a white koji pot aged mugi shochu. 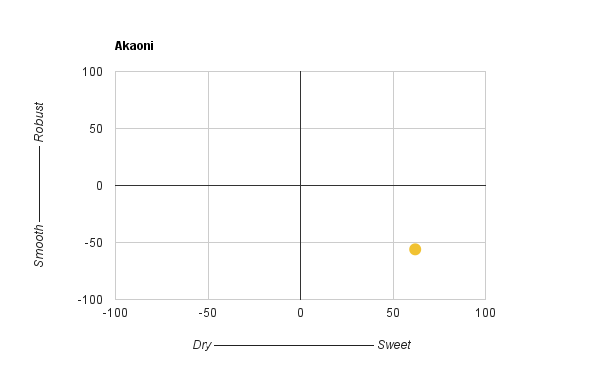 While oak aged mugis get a woody sweetness and black koji mugis have more robust flavor, Akaoni remains mellow and smooth throughout. As such it is very easy drinking and with slightly less alcohol content that’s less likely to bite you in the morning.